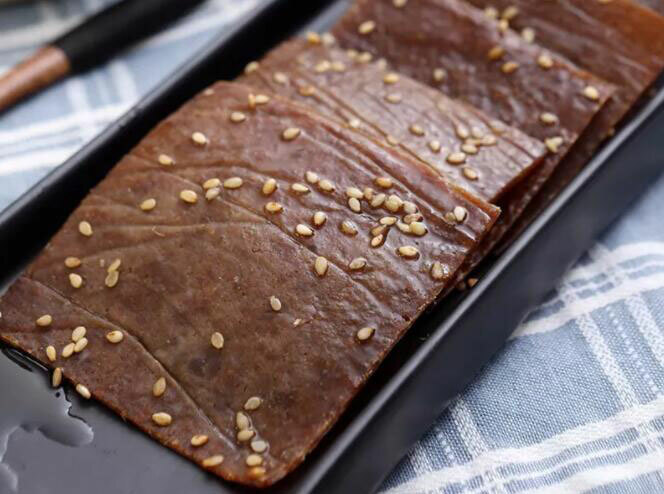 Bakkwa refers to Pork Jerky and is a famous snack in China, like beef jerky is in America. Fresh and tasty pork jerky has high nutritional value and is rich in protein. The honey added to meat emulsion contains dozens of amino acids needed by the human body, a variety of active enzymes and abundant macro and trace elements, and is rich in minerals. It also contains a lot of protein, no fat, is easy to digest, and is easy to eat on the go. Pork Jerky made at home is a healthy snack. You will find that the Pork Jerky you make is different from those sold in supermarkets. First, the contents may be different, there are no additives, so the deliciousness comes from the ingredients themselves. The chewiness is also different, but the taste will be fantastic and the satisfaction of making your own jerky. Today, we are going to make the preparation as simple as possible for you so that you can get the best product. I share with you my tips, my preferred flavors, and two methods of production. The two methods are one version with a blender, and the other without. Step 3: The blended meat is transferred to a large bowl, and the oil and black pepper are added. Step 6: After slightly flattening the meat a bit with your hand, use a rolling pin to flatten it. Step 7: After it is evenly thinned out, use a dough scraper to trim the edges into a rectangle. Step 8: Continue to trim the meat and roll it out until it’s two or three millimeters thick. Step 9: Brush a layer of honey on the surface of the meat. 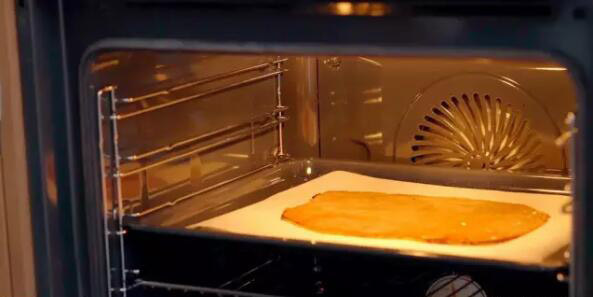 Step 10: Place in the preheated oven, bake for 10 to 15 minutes. Step 11: When the edge begins to have a golden color, remove. Step 12: Turn the meat upside down on clean baking paper and brush it with a layer of honey. 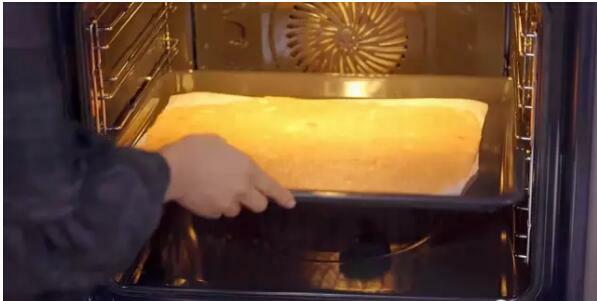 Step 13: Return to the oven and continue baking for about 10 minutes. Step 13: After the baking, let it cool slightly, cut away the darkened edges. Step 1: Wash the pork tenderloin and drain the water, slice it with a knife, and finely mince the pork. Step 2: Put all the ingredients (except honey and white sesame seeds) into the minced pork and mix well. Step 3: The meat is stirred in one direction, and after all the ingredients are mixed in, pile the paste in the center in one clump. Step 5: Put 2 tablespoons of honey with a little water in a bowl (this makes it easier to brush on). Step 6: Tear a piece of wax paper (twice as large as the baking sheet), put a handful of the meat mixture on one side, and flip the other side over on top. Step 7: Use a rolling pin to flatten it out (the thinner the better the end product will be). Step 8: Remove the surface wax paper. Step 9: With the oven preheated to 160°C, place the flattened pork on a baking sheet and in the oven for 8 minutes. Step 10: The moisture in the meat will start to dry out and will shrink and wrinkle accordingly. Step 11: Remove the pork jerky, brush honey water on both sides and sprinkle it with white sesame seeds. 1. It’s best to choose lean meat, personally I feel that the taste of the hind leg is better than that of the tenderloin. 2. Be sure to use fresh pork. It’s best not to freeze and thaw frozen pork as it will taste different. 3. It turns out that though the meat broken down by the blender is faster, if you blend too long it can also destroy the meat and the consistency will be off. Therefore, if you use a knife to mince the meat, the taste will be better and you won’t have worry about blending too long. 4. Make sure the meat is distributed in every corner when it is cooked. If it is not, it will crack and mold unevenly. 5. Using more honey to brush the pork will make it much more colorful and sweet. 6. After the meat is prepared, it needs to be refrigerated in the summer, but can sit at room temperature in the winter for one week.